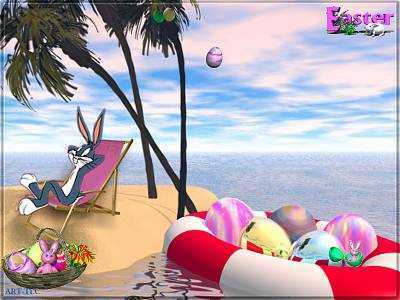 The Easter Bunny sunning on an island while eggs wait to be delivered in a raft. Animations of eggs float by with music. Screensaver copyright, ART-TLC ©. Best viewed with 800x600 settings.